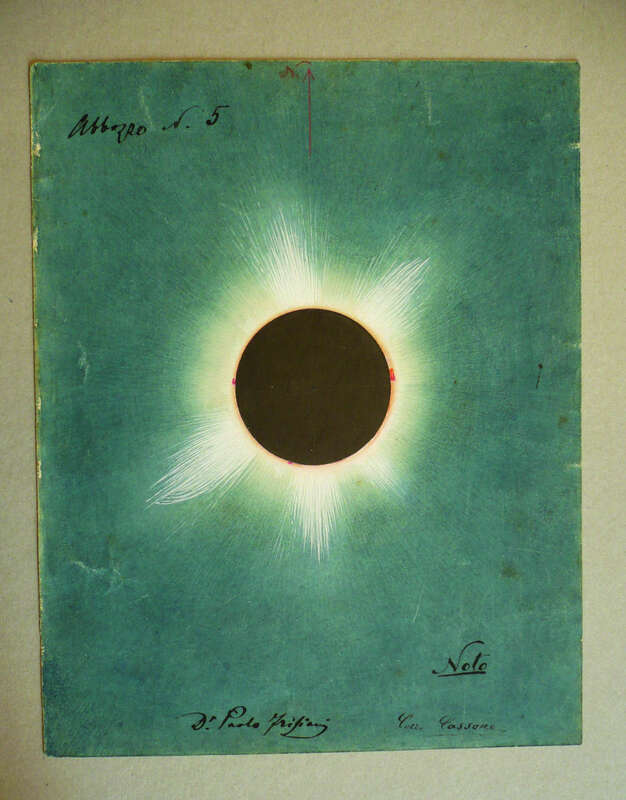 INAF-Palermo Astronomical Observatory, Historical Archives, Serie III: Eclisse 1870, 58.5. 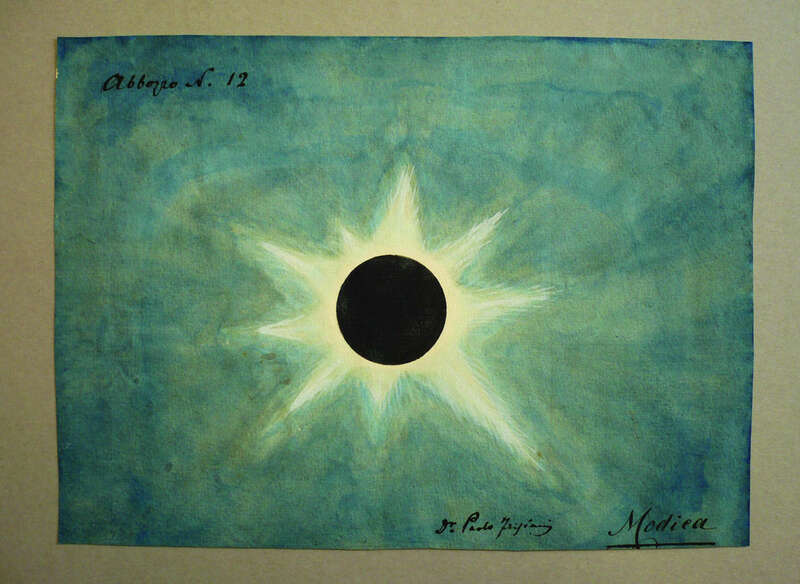 The watercolours illustrating the totality of the 1870 eclipse (see Sec. 3) were made in Noto and Modica by amateur astronomers belonging to the task force of volunteers gathered to observe and draw the phenomenon, upon call by Paolo Frisiani, professor of Physics at Modica High School. The watercolours were thus enclosed to the scientific report sent by Frisiani to the state Commission charged with the observation of the event. In cases like this, the contribution given by amateur astronomers was very relevant, as they were distributed over the territory, and called for by professional astronomers (see Na. 04). Bibl. : Chinnici 2008a; Chinnici 2009, p. 209.